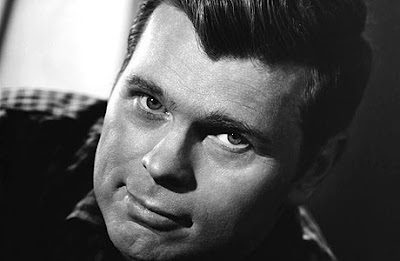 My next celebrity autograph is Barry Nelson. Born in San Fransisco, California, in 1917, Barry was an American actor whose career in tv and movies spanned from 1941 to 1990. 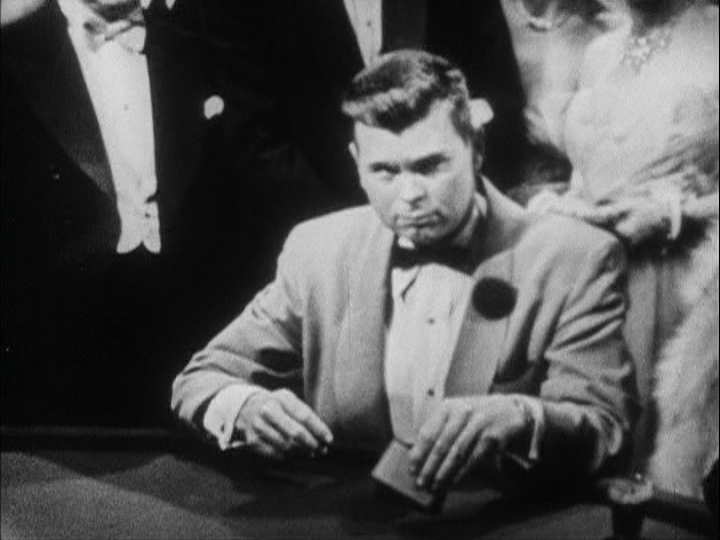 In 1954 Barry became the first person to play James Bond on screen, in the CBS tv show Climax! in which Season 1 Episode 3 featured a live taping of the first 007 novel Casino Royale. As the show was aired in the US some of the characters were altered, in particular James Bond was changed from a British secret agent to an American agent named Jimmy Bond, and Felix Leiter was changed from an American CIA agent to a British agent named Clarence Leiter. With a budget of $40,000 and within the confines of taping in front of a live studio audience, the show managed stayed true to the novel for the most part. Barry was quite good as Jimmy Bond, and if you're a 007 fan like me then I urge you to purchase a copy (try ebay). 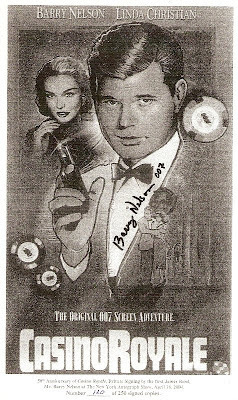 Barry's next big role came in 1970 when he starred alongside Burt Lancaster, Dean Martin and Jacqueline Bisset in the movie Airport, which was one of the first big "disaster" movies of the genre. It's box office takings for the time were well over $100million, which (adjusted to inflation) is the equivalent to $558million as at 2010. 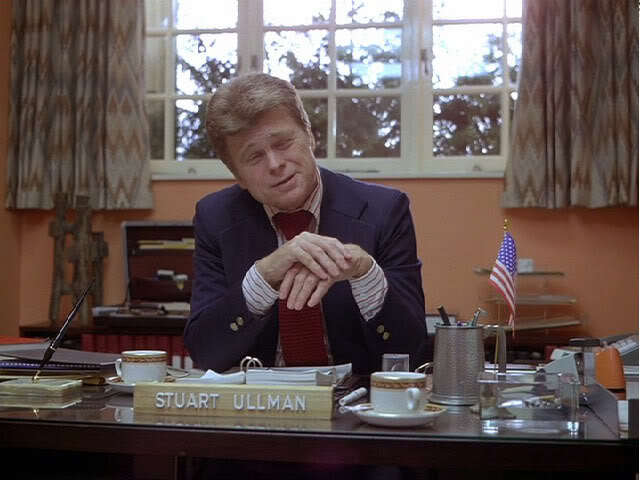 Then in 1980, Barry had a small but important part as hotel manager Stuart Ullman in The Shining. 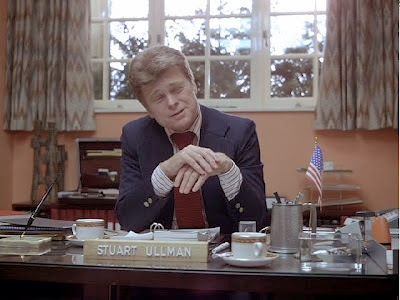 For those of you who remember the movie, Stuart Ullman was the man who hired Jack Torrance (played by Jack Nicholson) as the hotel's winter caretaker, despite having knowledge of what happened to the previous winter caretaker. So, you could say it was his fault that Jack went bananas and tried to murder his family (apologies for those of you who haven't seen the film, but to be fair, it has been 32 years since it's release). Now onto the autograph! In 2004 Barry was a guest at the New York Autograph Show in celebration of the 50th anniversary of Casino Royale, where he signed 250 copies of a specially designed poster. 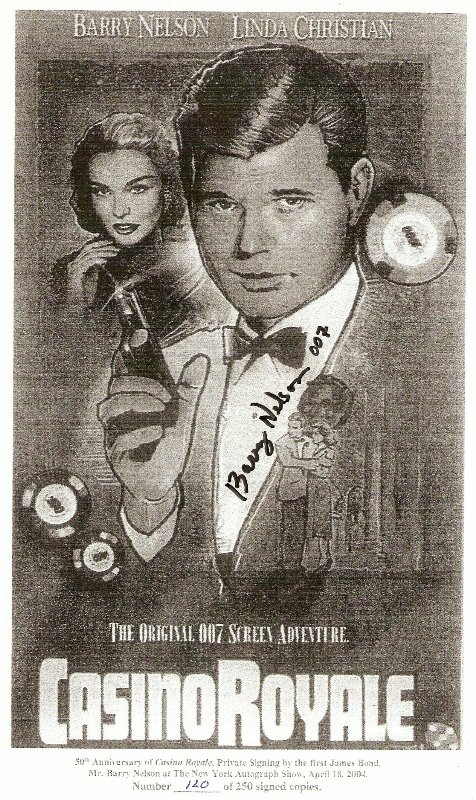 As Barry Nelson's autograph was near on impossible to obtain in the mail, you could say I cheated, as I purchased this autograph from a dealer. Still, to be honest it wasn't too dear, and I think it was worth it.